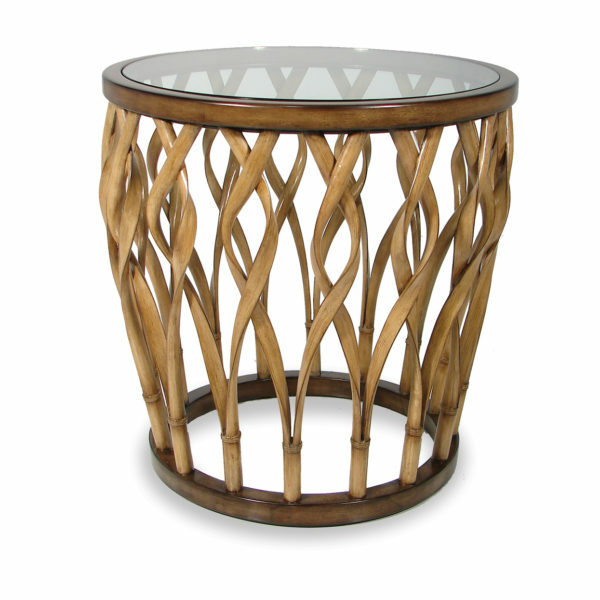 This Palecek table is made from plantation grown hardwood frame with split rattan pole details finished in a rich two toned brown coloring. Coordinates with Lincoln lounge chair. Includes glass top.